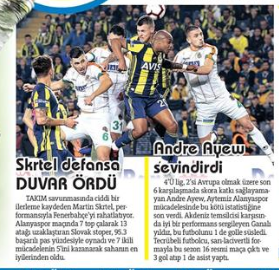 Swansea City loanee Andre Ayew’s recent performances for Fenerbahce have caught the attention of the Turkish media and AMK Spor report the Istanbul club’s coaching staff are pleased with the 28 year old. Ayew made a slow start to his Fenerbahce career but scored an important goal during Fenerbahce’s win against Alanyaspor last weekend. AMK Spor say the Ghanaian international is now performing better, and recently installed Fenerbahce coach Erwin Koeman is keen to continue with him after the international break. Fenerbahce paid Swansea €1.2m to loan Ayew for the season and the player has scored 3 goals in 16 appearances for the Super Lig club so far. The Turkish club also have the €18m redemption clause to sign Ayew permanently next summer but considering their financial status this seems unlikely at this stage. 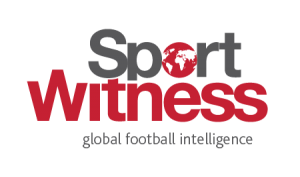 Ayew is contracted to Swansea City until June 2021 after joining the Swans from West Ham United in the last winter transfer window. His future at the Liberty Stadium is likely to depend on whether the Welsh club can bounce back to the Premier League at the first attempt.